In a continuing series Apprising Ministries seeks to introduce the Body of Christ to various teachers of a counterfeit Christianity through their neo-pagan “spiritual disciplines” of Contemplative Spirituality/Mysticism (CSM), a corrupt spiritual blight which is currently spreading apostasy through the evangelical camp as quickly as an Oklahoma wildfire under the guise of Spiritual Formation. Know this, the more the fools in the leadership of the American Christian Church embrace the postliberal theology of the Emergent Church—where this rebirth of Gnostic “wisdom” was a core doctrine from its inception—and The Cult of Guru Richard Foster the further this plague will infect the Body of Christ. Here we introduce you to “Father” Richard Rohr, author of the book Everything Belongs: The Gift of Contemplative Prayer, and I already showed you in Rob Bell In A Nutshell: Contemplative Mysticism that Emerging Church icon and contemplative Rob Bell himself recommends this book. But who is Richard Rohr? 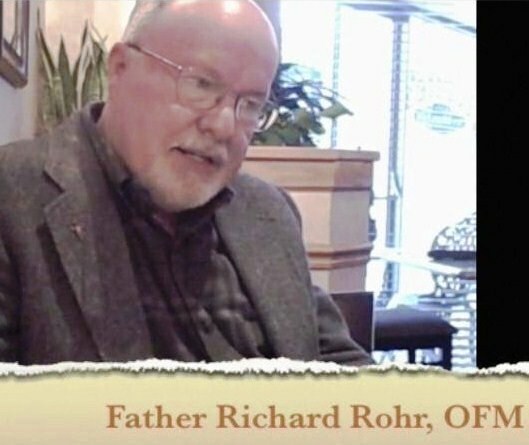 The website of the Center for Action and Contemplation (CAC) tells us under the section Our Founder that “Father Richard Rohr is a Franciscan of the New Mexico Province.” This Roman Catholic priest also just happens to be another Living Spiritual Teacher along with Contemplative Guru and Quaker mystic Richard Foster. One of the center’s core principles states: “We need a contemplative mind in order to do a compassionate work.” In other words the “and” in his center’s name is key — supporting the idea that if you are being formed into the image of Christ through contemplative practices, you will begin to live it out in the world. That Wyatt would have such praise for Guru Rhor really isn’t any big surprise because over at her blog Deep Breathing for the Soul we’re informed Wyatt also “writes and speaks about the connection between contemplative faith and real life” (Online source). Contemplative peas in a corrupt spiritual pod. Note the concept of “the and” that I highlighted above because Wyatt is referencing the following poem of contemplative gibberish.